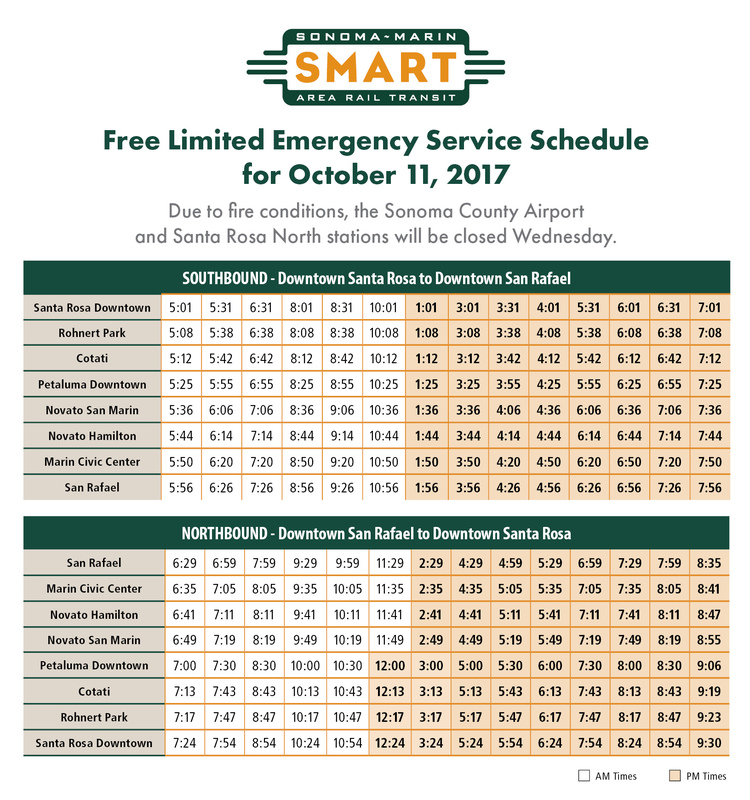 SMART will continue free service for passengers Wednesday, October 11, to assist those in the area who need transportation options during this period. Due to power outages and closed railroad crossings in the northern portion of Santa Rosa resulting from extreme fire conditions in the area, the Sonoma County Airport and Santa Rosa North stations will be closed Wednesday. Please be aware that fire conditions can change at any time. Please check SMART’s website: www.SonomaMarinTrain.org before starting your trip to ensure there are no schedule changes. Safety is SMART’s top priority and we will continue to monitor fire conditions and will use all necessary safety precautions.